Great Spec Mercedes CLA 200 Amg line 4 year lease 10k miles per year at Select Car Leasing £248.92pm + £746.75, 2 and 3 year also available. Looking at the headlights it's the current model that is about to be replaced if that makes sense. 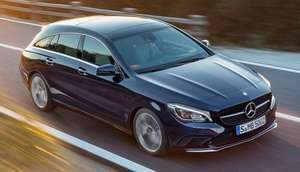 The CLA came out in February as stated but the Shooting Brake version has not been replaced yet. The spec states 7" tablet style screen, all new models have a minimum of 2 off 7" screens, bigger on the higher spec models. (:I it's an ex police car I bought it last year haha! Is that going to give me the explanation to your answer of f1 being based in UK probably, according to you, for logistical reasoning? Or the context of the query the other poster raised of there being no motor industry in th UK. Come back when you've read The German Genius by Peter Watson. Historically F1 is European - the UK is at the far corner making it further to travel for each European race and that is before you even consider the likes of Multimatic (picked up Lola racing) that are also based in the UK but ship racing cars to the US. There is no probability about why the manufacturers choose to invest billions within the UK for F1 , the probability is that you have very little affiliation within the motor industry to draw upon. However, besides bashing ourselves (something we are far better than any of our European counterparts at) I will give you a few queries to consider: 1) Which European country has 6 out of the top 7 rated universities within Europe? 2) How many companies invest into projects and R&amp;D with these universities? 3) Which European country registers the highest number of patents? 4) Which European country has what is considered 80% of the worlds performance engineers? 5) Name me which country has something called "Motorsport Valley" (if that does not mean much to you think about how "Silicon Valley" sounds to you) Anyway back to the point I initially made - what is underlying and what we are traditionally very good at (other than bashing ourselves) is still there and hence why there is foreign investment just as traditionally the Germans are highly efficient and the Italians are still great with their design flare. Bentley's aren't exactly cars that the masses can afford to buy. Of course the quality going to be there in a car that can easily cost 6 figures! Sytner Bristol - asked them to beat a deal posted on here. Where did you get that deal please? What's are the tips for looming at deals for Lessing? 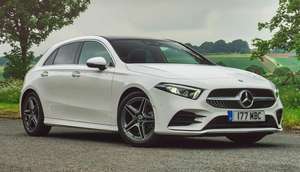 Got the amg 220d for £259 no deposit 10000 miles. Agree even that was a little basic and not the most comfortable. Paying for the badge and wouldn’t do it again. Where from? What’s the down payment? It looks ugly, is cheap and tacky. I am sure it drives great, but the form is so bad it cannot be forgiven - it just screams "I have no taste whatsover". Think you might have issues. The M2 comp is a cracking car. Having driving the M5, M4 competition and luckily an M4 CS in my opinion these are all awesome cars. Sadly my last one was an E46 M3 and unless circumstances change dramatically I won't be able to afford another one. M2 comp would be my pick of the bunch. I have to disagree I have owned a few M cars. Having driven the M2, it feels very much like a older M car. It's actually a lot of fun to drive with a lot of feel to what the car is doing. I own a M4 and it's very skittish but once you learn to drive it properly it's very rewarding. I owned a 07 RS4 and that was probably the last RS that Audi did that didn't feel numb to drive. The m5 is the only real M in the current range and will cost around £110k for a good spec. The 2 series is a poverty series for teenagers and looks absolutely ugly as hell, all anyone thinks when they see one is "Do they make those for men?". The m3 and m4 have had their day, I really didn't like the m4 at all - so much I moved to Audi. No serious buyer over 21 would consider this as anything other than an ugly, cheap tacky vehicle. (think Fiesta RS Turbo). I have never worked anywhere where people don't moan. The more people stay in a job, the moanier they get. That's just human nature. Try the civil service, it's soul sappingly moany and they get decent benefits! it's not me being bitter, it's the absolute truth. from where i worked there has been 7 well trained , long term technicians leave. the main part of leaving is frustration with the brand and the support network around it. you know it's bad when you spend time at the training academy and even the people training you laugh at how abysmal things are. nope, luckily i restore historic racing cars now. Wow that's sour, do you work at asda now? I agree with claiming mileage. Also Ltd company gives you access to business only deals that are much cheaper than personal deals. Need to finance business only deals through directors loan account, speak to your accountant. HI, am i able to put my personalised number plate on this car? Be aware that they will add a surplus (6% monthly in my case), for the 'metallic paint' option on top of the quoted price on the website. Worse than that. I drive a 2003 Mégane Scenic.....,. Adaptive cruise control. Start stop tech. Sat nav. Alloys. Electrically adjustable and heated door mirrors. Rain and light sensors. 8 speakers. much more. What is LSD, is it something to make the car go happier? Better LSD? At last something interesting in car leasing! I'm not saying it's as fast or the same as my Golf R for goodness sake, I'm just saying it wasn't incapable and was perfectly drivable and so shouldn't be written off just because it's 'only 1 litre'. Thousands of decent second hand cars around and obviously it goes without saying full service history and sensible milage. One golden rule with a depreciating asset is to own it when it is depreciating the least. ALL new cars depreciate most in the first 3 years. It's simple economics tbh. Depreciation! After two years, your £50k BMW might fetch only £30k trade-in so therefore leasing can work out a lot cheaper. Couldn't agree more, I could never understand how somebody can shell out thousands to be left with absolutely nothing after a couple of years? i just need something similar with a smaller upfront cost, but obviously this normally bumps the monthly cost right up so very hard to find.. I have just ordered on from Nationwide - similar deal but with free metallic paint - my local Vauxhall dealer couldn't get anywhere close - over £400 per month. 5k for a car that you dont own after 2 years! You could go to Kazakhstan and buy a donkey for £50. Itll return the equivalent of 200 mpg as all they need is carrots. Same deal on nationwide vechile contracts but with free matillic paint. Leather seats is only option for interior though 200bhp, with all the toys and lether interior for 200 quid a month including road tax. Has to be a hot deal Signed up this morning. Went for black. On this occassion they actually said the deal was at the price I was originally quoted, just strange that it took 5 days to get back to me when normally you get called back within an hour of doing the credit application, or worst case next day. I needed a car by the end of October so had 2 or 3 other options as I was concerned about delivery times. When I didn't get a response I went elsewhere, shame as it was a decent deal for what you got. Thats a risk you run - is this the best deal, or might there be a better one in three months time? Or will it be worse? No one can say really. I tend to take the view of getting the best price for something at the time i need it. Historic and future prices are outside of my control. I personally would sit tight and wait a little longer before leasing one as prices will surely plummet. My brother just purchased a Jaguar XE R Sport from Lancasters of Milton Keynes, outright. Car listed at £40k new with wheel and carbon upgrades, spoiler etc, just 8 months old he got it for under £22k done just 5000 miles. Where did you get your deal? You guys missed out on the MY 2018 one of these. I picked up the V90 D4 R Design with 20" Rims and a Reverse camera for £2500 initial rental and £209 a month. The D4 Momentum for 18 months was £1999 initial and £179 a month. There was also no admin fee as it was direct from a Volvo dealership. I would recommend going to a Volvo dealership with this offer and seeing if they can beat it. They matched my offer from another Volvo dealership. It's a nice car, MPG isn't anywhere near what is quoted and significantly worse than my old C Class but maybe that is something to do with how much I use the Pilot Assist to do most of the motorway driving for me. Where have all your comments gone? I had a notification you’d responded but there isn’t anything there. Wow. You guys need to stop arguing about things you found on Google... not everything you read online is fact you know..
Do you guys add maintenance when leasing cars? Do You guys had insurance to your lease deals? That is a very good deal on PCP, incredibly good actually. 3 year deal with 8000 PA? Just handed one back after having it for 6 months lucky to get it on a staff deal... All I can say it was a f**cking quick car and the gearbox is rapid! Working in the motor Industry I have been lucky to drive some decent cars, the 140i pound for pound is hard to beat with that pace! GET ONE! I'm interested in a GLA, where's the best place to get a current deal on this? Details. What is a PCP deal? Average mileage is around 8K PA and you can lease above that of course. It also doesn't mean you can't exceed the contract mileage. Sometimes it's more cost effective to do this than alter the contract. Really comes down to cost of ownership. I'm due to hand my lease sportage back by end of Sept do you think it's worth hanging on for deals at the start of September when the new reg is out? Good priced car, I agree that buying one cash would be best. A far more cost effective car than any of the Mercedes, Audi wannabes. Well then (a) you wont get the new model for this price with this spec in six months time. If you do, please feel free to post it then and i'll help vote it HOT ;) (b) there will always be another car and another deal six months down the line. For someone who say is leasing right now and looking another lease to start for next month, what good is waiting six months? Whilst this deal might not suit you, it doesnt mean it doesnt suit other people. (c) you will be renting a car based on the monthly payments suiting your current needs. Not having the "latest model" doesnt impact your payments one jot. I just spoke to my local dealer in Southampton, he said they wouldn't be able to get anywhere near this deal... Shame because I want to have a look at one before I pull the trigger. My VW Tiguan is up at the end of September so been looking for something else. Might be good to know that some BMW dealers offer a 24 hour test drive on this car. I took the 24 hour test drive but didn't like the car, mainly due it having a lot less power than the car I was driving (a C220 CDI) and being much less efficient in terms of fuel economy. I ended up leasing the Volvo V90 deal that I posted on here. This lease deal is much better than the deal I was being offered for the car from BMW though. It was 25k for a Pre-Reg car (pretty much the same Spec as this). You would lose more than the 8.5k in the 3 years even if you were doing only 8k miles pa.
Not necessarily. If you factor in the cost of borrowing to buy, or opportunity cost of putting a lump of cash into a depreciating asset, leasing can make a lot of sense. Some good lease deals can bring cars into someone's affordability bracket that would otherwise be out of reach. E.g. a while ago I leased a C4 picasso for 18 months @ £155 per month (£0 upfront). If I bought it with a loan, I'd probably have paid around £60-80 per month for the loan, plus £230ish per month depreciation... that wouldn't have been comfortably affordable for me at the time. Yes, that was an exceptional deal, but if you do the sums &amp; find a good deal, sometimes a lease will let you get more car for your money than buying. Another way of looking at it, over 3 years - with a budget of £300 per month, you could a) borrow (at around 5%) &amp; buy a £20k car &amp; hope for fairly low depreciation (apparently 50% is common over 3 years) b) lease a £25-£30k car on a good deal c) buy an £18-19k car with cash, hope for average depreciation (factoring in 5% per year opportunity cost for the cash) Of course there are other options, but for buying a new car, a good leasing deal can be the most affordable option for a specific car, or make more expensive cars affordable. If you like hassle free and easy motoring, lease it. If you like driving a new car, lease it. If you don’t mind “not owning” your car, lease it. If you like having confidence in how much depreciation is costing you, lease it. And if like having your new car delivered and then collected from your home or work when you are finished with it, lease it. I like all the above, so I lease it!! If you can afford to buy one, and it's cheaper to lease it, then lease it! Honestly don't understand these crackpots, that hijack every lease deal with words of zero wisdom! £362pm, 6x23, £0 fee, 12p per mile excess. Audi fleet were a dream to deal with. That’s with 10k miles per year, metallic paint and virtual cockpit. So could be cheaper, but I had my wants. One thing I'm not keen on with Audi is they charge you extra for everything. In the equivalent BMW it would be included but not so with Audi. Electric folding mirrors Heated seatsSide air bagsRear camera Essential though I think is virtual cockpit which works out about £7-8 per month extra on the lease. I think the price may have dropped further, I can't remember the lease company name but was now sub £300 (£297 I think it was) with £3k initial payment. That was also based on higher mileage not the base 5k a year. 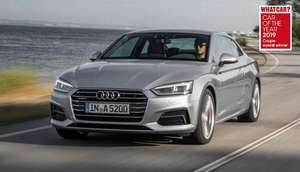 I was considering the S5 sportback and not so keen on the S4 but the price difference is huge now. Just got the issue of getting rid of my current car. No idea why this is cold. You couldn't own any car like this (Audi, BMW, Kia, whatever) for 9k over 2 years (that's depreciation I am on about of course it costs more than that to buy it). Therefore good deal. I have an S5 and it has been 100% reliable since I got it new last April (on lease) other than a silly issue with the auto drop down windows which happened once and can be sorted out without a dealer. The A4 doesn't have frameless doors so won't have this issue. As for the comparison with the Kia Stinger.... Whilst I do like Kia as a car brand (we have the S5 and a Sportage) it just doesn't look right to me with respect to the styling. The lines just don't look right. Only reasons I wouldn't consider one is I like having 4WD, the service intervals are supposedly pretty dire compared to the flexible one on the Audi (might have imagined this though) and the MPG is a lot worse according to official figures (I know they are BS but normally if the figure is bad real life is terrible). I think I'd get over the looks if everything else was equal with the Audi and the price to lease was right (was about £600 a month last time I saw one). Having owned an S4 in the past I have no desire to own a car like this whatever brand it is. They depreciate like hell and are a nuisance to get rid of at a fair price. Dealers have your pants down with trading in and you have to be patient selling any other way. ezzer72, get off your high horse, what the hell has Kia or your opinions got to do with if this is a good deal or not? No, absolutely nothing. Pathetic really. I am not on a rant, actually you are, you pointed out there is no MOT on a 36 month lease, to which I corrected you, this is not the terms of my lease company but also the terms of the previous two companies I have used, I would be very interested to find a lease company that does not apply this. Since I corrected you all you have done is try to back up your false information rather than holding your hand up and saying oops 'I'm wrong'. Have ever even had a 36 month lease? are you talking from experience or just trolling (aka trying to be a know it all smart ar$e).